Once Halloween is over we all seem to have the same problem. We end up with way to much candy laying around. 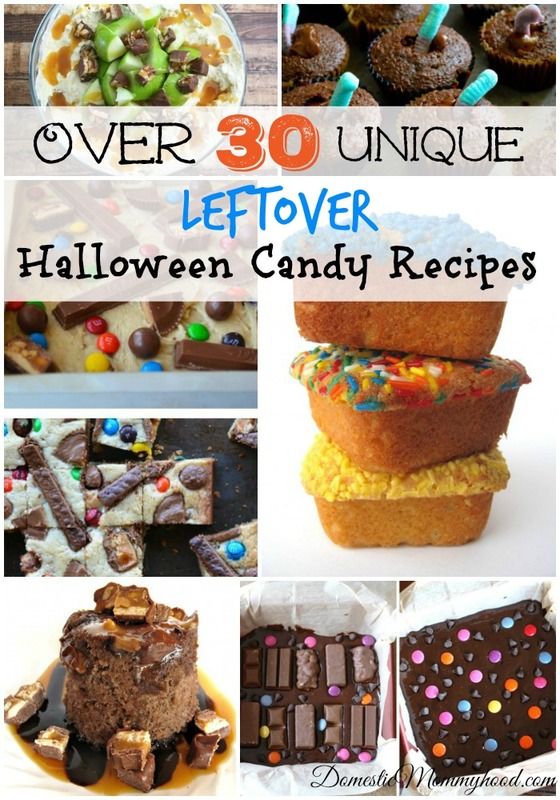 Here are some unique leftover Halloween candy recipes for you to try out. Last year I came up with a great Nutter Butter Sandwich Cookie Recipe that you can try using some of your candy corns from Halloween. Don’t forget to great programs that are out there that are perfect for leftover Halloween Candy. You can always send Candy For the Troops (Coupons are Great) or use the Great American Halloween Candy Buy Back Program which is through local Dentist offices. Both are great choices. Here are a few great ways you can use your leftover Halloween Candy to have a little fun with the kiddos. Now onto our feature presentation!